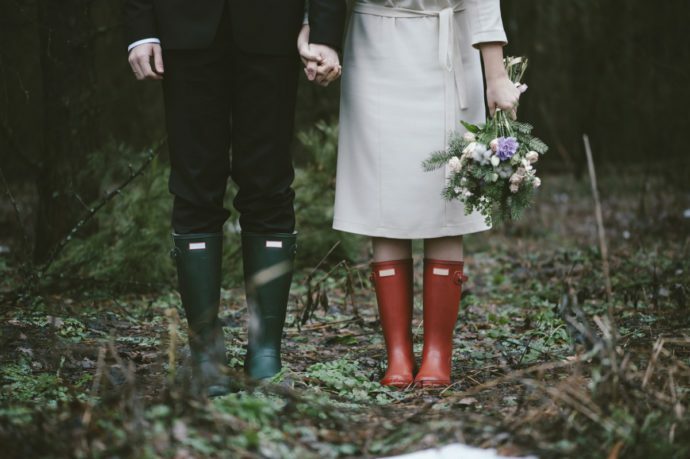 LOVE YOUR RAINY WEDDING DAY! Every couple daydreams about the perfect weather for their wedding day. Sunshine without limits, not too cold, not too hot… But what happens if it rains on your Big Day? That’s probably the last thing you want to think about, but we all know that this is a part of the wedding we cannot influence. The truth is that the more you prepare for this situation, the happier you will be if it does happen. We could write about bad-weather options here, but we all know that you need to have a plan B if you plan an outdoor wedding. However it is not less important to also get to like the thought that you might actually use it and not be disappointed if plan A doesn’t work out. Entertain both scenarios in your head as you plan, so if it does rain, you’ll be mentally prepared for it. Imagine all the beautiful creative photos your photographer can shoot in the rain! And did you know that in some cultures rain on a wedding day is considered good luck, symbolizing fortune and fertility? You can’t control the weather, but you can control your attitude! It’s YOUR DAY, so relax and enjoy whatever comes, sun, rain, thunderstorm, snow, heat-wave… it will only shape your day and make it wonderful and unique in every way! !